Flagpole installation is a great project for intermediate DIYers. With the right tools and a bit of patience, you can have raise the house flags of your choice in your garden or yard. Read below to learn how to install a flagpole in your yard. 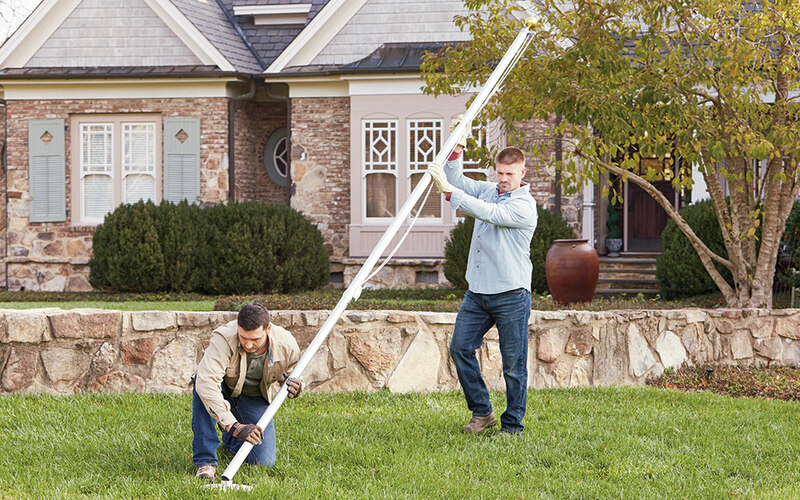 Follow these instructions for flagpoles measuring less than 20-feet high. If you’re looking to install a pole that reaches higher than 20-feet, professional installation services are required. The first step to installing a flagpole is preparing a hole in ground. 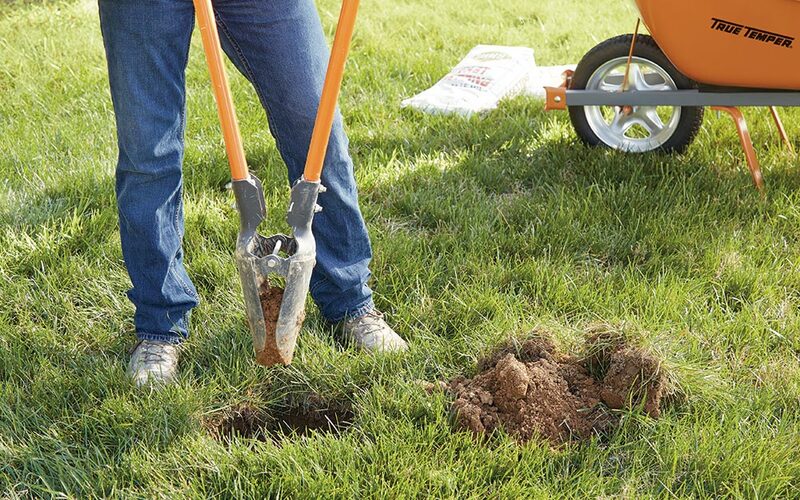 Use a post hole digger to break the ground and work into the soil. A lightweight manual digger will suffice for smaller poles, but you’ll likely need a heavy duty one for larger posts. These can be rented from The Home Depot Tool Rental Center. Make sure the hole is at least two feet deep and four to six times the diameter of the pole to accommodate the ground sleeve, which should be included with the purchase of your flagpole. 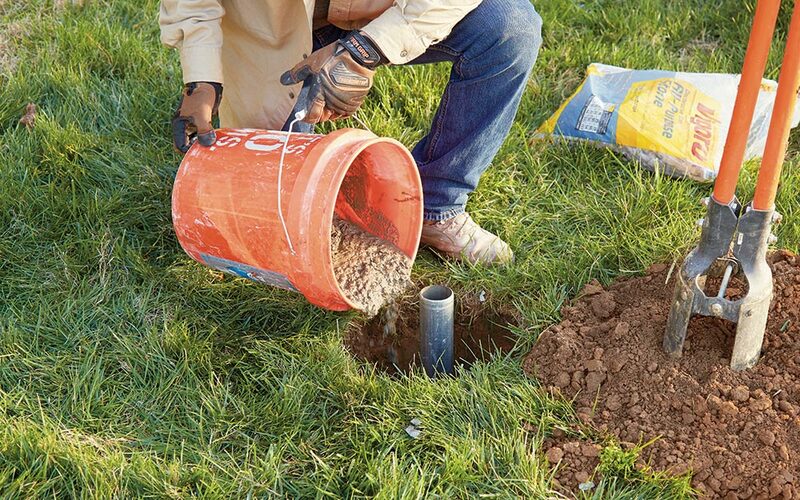 Safety tip: As you dig the hole, watch out for wires below the ground. Contact the gas and power company if you are unsure of where your utility lines are buried. Place the ground sleeve in the hole and fill the surrounding gap with gravel or landscape rocks. Keep filling until the ground sleeve is two inches above the ground. Once the ground sleeve is secure enough, set the ground sleeve in place with ready mix concrete. 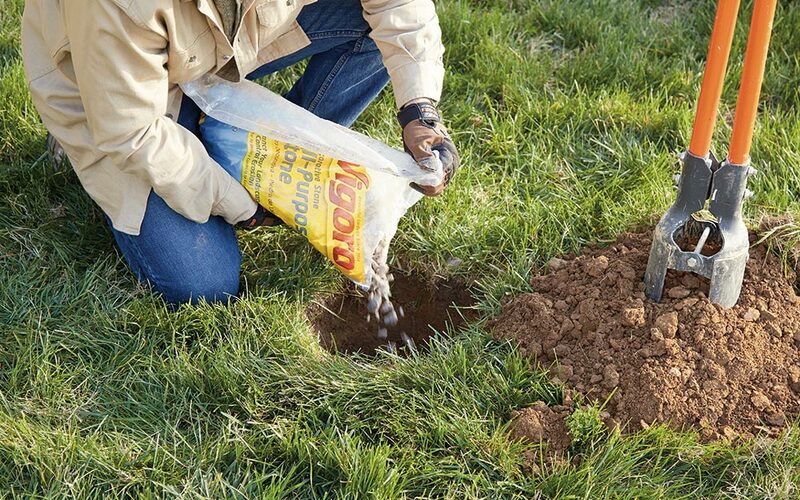 Stir the concrete and pour it around the gravel or ground rocks, being careful not to pour any inside the sleeve. Allow the concrete to completely fill the hole, and make sure the pole does not tilt or shift as it begins to set. Smooth everything out with a concrete trowel to make sure the surface is even. The concrete will need to cure for at least 24-48 hours before moving on to the next step. Once the concrete has cured, assemble the pole and any included attachments. Some may require flagpole brackets or other flagpole accessories, so follow the manufacturer instructions for specific instructions on how to piece your unit together. Once the flagpole is assembled, stand it up in the ground sleeve. Once the pole is in place, raise flag with the included rope or snap hooks. Follow the manufacturer instructions for specific instructions on how to properly raise and lower your flag.